A Call to all Artists in the local area! 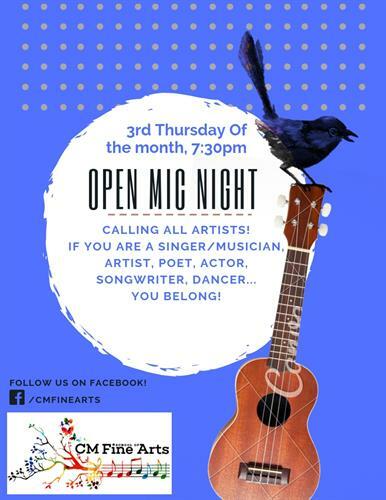 We are hosting Open Mics in support of your FAVORITE LOCAL ARTISTS every THIRD THURSDAY OF THE MONTH! Bring your guitar, your sheet music, your clarinet, flute, poems, monologues, or any of your favorite instruments! We have mics, a piano, and everything you need to plug in to show off what you got as an artist! Or come and enjoy the show! Proud to serve your community, by "Painting the world a brighter shade of beautiful!" this is a FREE EVENT!